Our residential and commercial lawn care maintenance crews are specially trained to deliver an exceptional customer experience to all of our clients, and to provide all the individual attention and meticulous quality your property deserves. Our regular lawn maintenance services include all of the essential landscaping services, including mowing, trimming and pruning, mulching, and much more. Your yard is in good hands when you partner with Good N’ Green, LLC. From scheduled lawn care maintenance service to seasonal lawn care services, our company has the experience and equipment needed to tackle residential yards and commercial lots large or small. 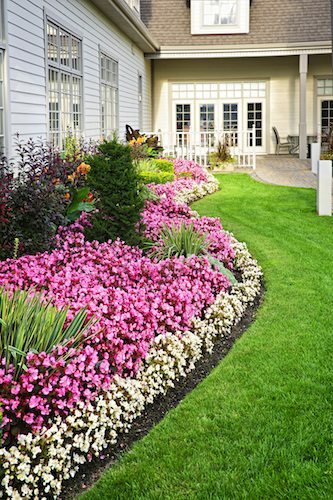 Our lawn care professionals know how to give your property that clean, well-defined, and professional look to enhance your property’s curb appeal and make your neighbors jealous. You can count on us to get your lawn back in shape! Good N' Green, LLC offers lawn maintenance and lawn care service to homes and businesses throughout Chesapeake, Virginia and nearby communities.